It’s the coolest time of the year – the Stanley Cup Playoffs are here! Check out our handy guide below to find out how to stream every NHL Playoff game on your Roku player or Roku TV. Who’s your pick to bring home Lord Stanley’s Cup? Join the conversation over on Twitter! If you are looking for specific game times, here’s a full schedule of NHL games. What channels are the Stanley Cup Playoffs on? 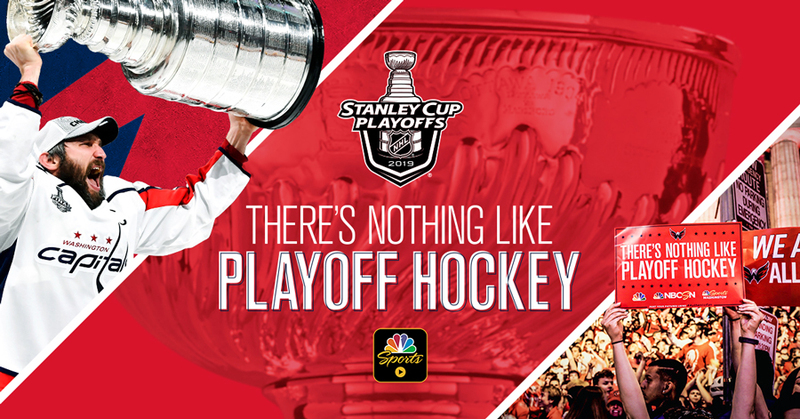 Stanley Cup Playoff games are broadcast on NBC, NBCSN, USA Network, CNBC, and NHL Network. Games on NBC, NBCSN, USA Network, or CNBC can all be viewed on the NBC Sports channel with a participating pay TV provider login. Stanley Cup Playoff games being broadcast on NBC (in select markets), NBCSN, CNBC, or USA Network can be viewed with a subscription to DIRECTV NOW, fuboTV, Sling TV, Hulu with Live TV, PlayStation Vue and YouTube TV. You can also use your subscription to these services to authenticate NBC Sports. Stanley Cup Playoff games being broadcast on NHL Network can be viewed with a subscription to DIRECTV NOW and Sling TV. There’s nothing like Playoff Hockey. The post How to live stream the Stanley Cup Playoffs on Roku devices (2019) appeared first on The Official Roku Blog.